Raspberries from Publix, flash frozen at the peak of freshness. White chocolate chips, silky and sweet. All-purpose flour, baking powder, whole milk, sugar, and though you can’t see it, ground flaxseed. 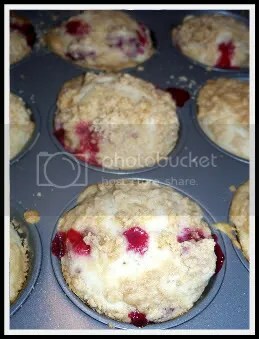 Mixed just together, then dolloped in a greased tin to bake, rise, puff, to the peak of sweetness. Pockets of seeded, fruity goodness and soft, sweet white chocolate burst with each bite. Perfect with a tall glass of icecold milk. 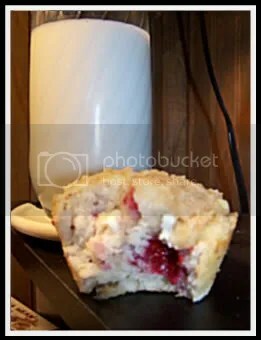 This entry was posted in Food and tagged Breakfast, Muffins, Raspberry, White chocolate by Kate. Bookmark the permalink. yah yah! tall glass of ice cold milk! Yummy!